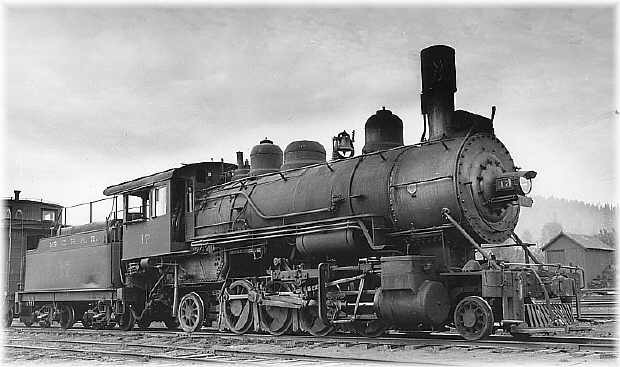 Locomotive #17 in the McCloud yards and it is from the George Landrock collection. No date, but credited to Guy Dunscomb. Taken in the Mt. Shasta City yards. The #17 is seen here on the turntable in front of the McCloud roundhouse.